Below are the official 2016 Hockomock League Golf All Stars, selected by the coaches in the league. Stoughton, 1 @ Oliver Ames, 7 – Final – Click here for a full recap of the game. Oliver Ames, 8 @ Stoughton, 0 – Final – Senior Julia Roy netted a hat trick while seniors Francesca Calabraro, Tori Wyman, Lauren Wright and junior Jackie Mills each scored once. Oliver Ames junior Caitlin Campbell earned the shutout in net for the Tigers. Taunton, 2 @ Sharon, 3 – Final – Alex Rabb opened the scoring for Sharon and then Ally Filipkowski added a second with a shot to the top corner before halftime. Alexis Faria and Sam Tichelaar scored second half goals for Taunton to tie the game, but Sharon earned a penalty with seconds left and Alex Rabb scored it for the win. Canton, 3 @ Attleboro, 0 – Final – The Bulldogs won 25-17, 25-16, and 25-12 in the season opener. Nicole Poole paced Canton’s offense with 27 assists, five kills and five aces. Middle blockers Emma Murphy and Casey Shea each had six kills and libero Julia Panico has 21 digs. Outside hitter Hannah Jerrier had a good night in her first ever high volleyball match with five kills. For Attleboro, Lexi Pereira had six kills and Jenny St. Hilaire had 13 service points, including four aces. Mansfield, 3 @ Foxboro, 0 – Final – The Hornets picked up the sweep on the road, winning 25-19, 25-19, 26-18. Jess Haradon had 14 digs and 11 service points for Mansfield while Meg Hill had eight kills and 10 service points and Chloe Peters had 11 service points and 23 assists. Milford, 2 @ King Philip, 3 – Final – In a marathon of a match, King Philip rallied from a two-set deficit to win in a thrilling fifth seth. King Philip won 22-25, 23-25, 25-17, 25-18, 22-20. Sydney Phillips led the Warriors with 19 kills while Emma Lopez added 16 kills. Carly Adams had 38 assists while Amanda Loewen had eight digs for the Warriors. Canton, 5 @ Attleboro, 0 – Final – Maggie Malloy scored a pair of goals for the Bulldogs while Andrea McNeil, Beth Oldenburg and Julia Ezepik each scored once. Foxboro, 1 @ Mansfield, 0 – Final – Lily Daly scored the lone goal of the game for the Warriors in the first half on an assist by Carlie Stern. North Attleboro, 0 @ Franklin, 3 – Final – The Panthers had nine corners, 24 shots on goal and didn’t allow a single shot on goal defensive in the win over North. Caroline Lounsbury gave Franklin the lead midway through the first half on a cross from Brayden Downing, sophomore Annie Walsh doubled the lead with an unassisted goal and sophomore Cassi Ronan capped the scoring off a corner from Walsh. Milford, 1 @ King Philip, 4 – Final – Alli Meehan led the way for King Philip with a pair of goals and an assist. Christina Hathaway scored a beautiful goal from a penalty corner to start the game for the Warriors while Caitlin Donahue scored a hard shot from the left. Dana Truini had two assists and Liz Furfari added one for KP. Stoughton, 0 @ Oliver Ames, 4 – Final – Oliver Ames scored four first half goals to earn its second win of the season. Sarah Stevens, Kayla Lozzi, Cristina Boudreau, and Kendall Clifford each scored once for the Tigers while Stevens added two helpers and Dimitra Efremidis had one assist. Head coach Abby Tepper said Katie Davenport, Sarah Tetrault and Erin McCormack had strong defensive games for the Tigers. Franklin, 163 @ Oliver Ames, 147 – Final – Oliver Ames’ Ryan McGarry and Nick Lombardi were co-medalists for the match, each shooting a round-low 36 for the Tigers. Brady Allbritton added a 37 for OA. Franklin’s Matt Deo shut a team-best 37 for the Panthers. Attleboro, 177 @ North Attleboro, 155 – Final – The Rocketeers had the top four finishes in the match with Dylan Kane earning match medalist by shooting a 36. Robbie Congdon added a 37 for North while David Colsanti and Thomas Puccio each shot 40. 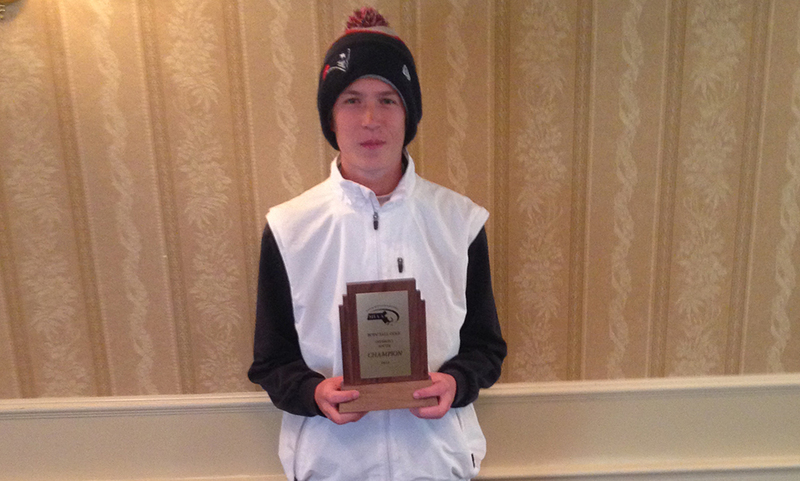 Attleboro’s Corey McKenna shot a team-best 43. Foxboro, 199 @ Mansfield, 165 – Final – Mansfield senior Jason Hindman led the way for the Hornets, shooting a 35, a league-best so far this season. David Norris added a 41 and Madison Haughey added a 44 for Mansfield. Canton, 167 @ Taunton, 183 – Final – Canton senior Matt Minichiello was the match medalist, carding a 39 on the day while junior Danny Powers shot a 42 for the Bulldogs. Taunton’s Mike Volkmann and Justin Proto each shot 42 for the Tigers. 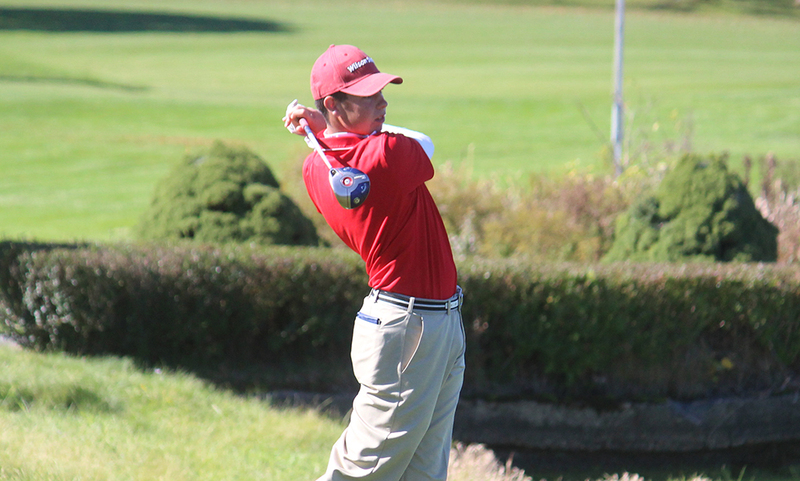 Milford, 159 @ Stoughton, 178 – Final – Ryan Tomaso was the match medalist, leading Milford with a 36. Anthony Arcudi chipped in with a 39 for the Scarlet Hawks.